This brand of Brazilian spirit has invented a new strategy to educate consumers about its category: cachaça in a can. Novo Fogo CEO Dragos Axinte has come out with numerous ways to encourage consumers to make cocktails with Brazil’s national spirit. (Cachaça is distilled from fermented sugarcane juice.) He’s launched mixing kits. He has a line of little cocktail kits that require no more than a few steps. But those required work, and Axinte wanted another option that immediately brought cachaça to consumers’ lips. 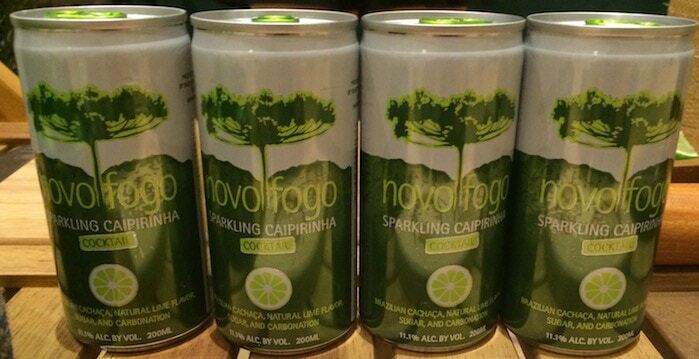 Hence his new pre-made cocktails in a can: Novo Fogo Sparkling Caipirinha.